Back in the late 1990s, the tech support team at Yonatan Stern’s former company CardScan was swamped. It was the days before USBs. In order to upload data from the business card scanner to a PC, customers needed to use a parallel connector, which wasn’t easy. “We sold between 10,000 and 15,000 units a month, and we had to give tech support to all of the customers who had trouble installing it,” says Stern, who is now CEO of the spinoff ZoomInfo and was featured in a story here last week. It was getting expensive. He challenged his team to figure out a creative way to provide high-quality support at a lower cost. The result was a two-tier system that not only cost less to operate but also resulted in added product sales when happy customers started raving about the great customer service they received. How did it work? First, Stern says, “We knew that the number one biggest fear of any customer is waiting on hold for tech support.” Being routed through an automated answering system and sitting on hold could waste a half hour of a customer’s time. So his team decided that a live tech would answer every call within 30 seconds. That person’s task was to understand the customer’s problem within 2 minutes and then do one of 2 things: Customers with simple problems that had been solved in the past would be sent an email with the solution. That saved the tech team time, empowered the customer to troubleshoot at a more convenient time, and also saved the customer and tech from waiting together for a PC to reboot to find out if the problem was solved. 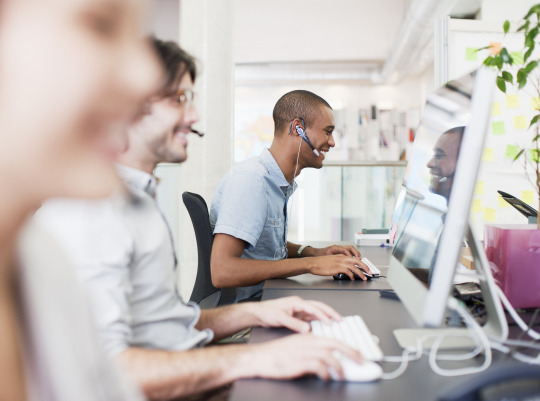 To customers reluctant to get off the phone before their problem was solved, technicians gave assurance that a live person always answered their calls within three rings. If the problem was one the tech team had never encountered, then the call would be moved to a second tier technician who would work to solve it. The team also started tracking the questions it was getting. “If we got 100 people asking the same question every day, we knew that we should solve the problem at the product level,” Stern says. An unforeseen consequence of CardScan’s responsiveness was that the tech desk started getting calls for support on another company’s product. The personal digital assistant Palm Pilot had a bug, and word spread that CardScan could solve a user’s problem in 30 seconds. When his employees told him they were fielding tech support for Palm Pilot, Stern told them to provide help, and to use the calls to market the value of CardScan to Palm Pilot’s customers. It was like cold calling ideal customers in reverse, and often it worked.